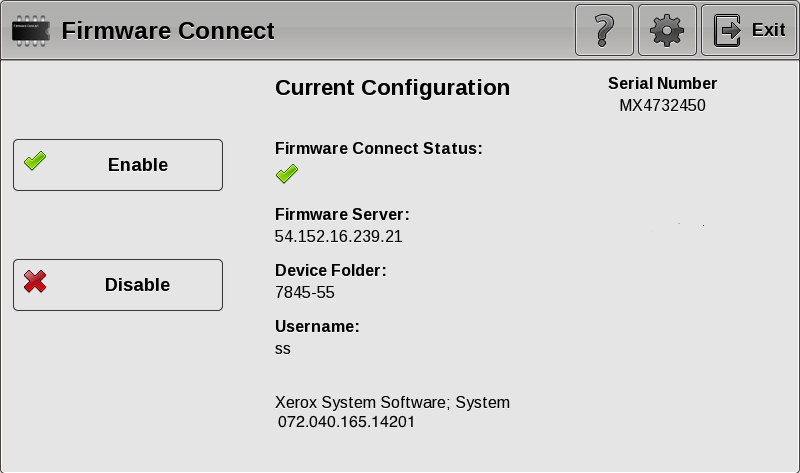 We have heard from many partners of how they are increasing the value of the Xerox ConnectKey MFP with the Automatic Firmware Updates App Solution. The Xerox U.S. Channels Group is providing this solution for free for all U.S. partners to use with their customers in 2016. I just wanted to send you a little note telling how the firmware management tool has changed our Xerox landscape here in central Wyoming. My customers have all loved the idea that we have taken a proactive approach to making sure their machines have the latest version of firmware with the most up to date security. We have seen a drop in the number of service & support calls. Thanks to you Josh and your team for making this possible. Click here for a customizable customer brochure. For a White Paper to share with IT, click here. We have a presentation that reviews the solution that you can use with your customers. Click here for the customer presentation and click here for the corresponding talk track. Contact us by email at apps@ssmd.com or call 301-632-5555 x 5 with any questions or to review the solution with your team.